Asphalt Maintenance - Signature Paving Services, Inc. If you own or manage a commercial, industrial or residential property that includes asphalt, it’s important to understand the necessity and benefits of proper pavement maintenance. All asphalt oxidizes and breaks down over time, and the speed of this process is determined by a number of factors including climate, traffic load, moisture penetration, and exposure to solvents. Basic pavement maintenance is necessary to minimize the effects of these and other asphalt detriments, and can significantly extend the life of your pavement. In addition to protecting your investment, proper maintenance provides the benefits of enhanced beauty, safety and ease of care. For example, a well maintained asphalt surface is easily blown or swept clean, reduces the possibility of slips, trips and falls, and has a professional appearance that is welcoming to customers and neighbors. The staff at Signature Paving Services are experts in the pavement maintenance field! 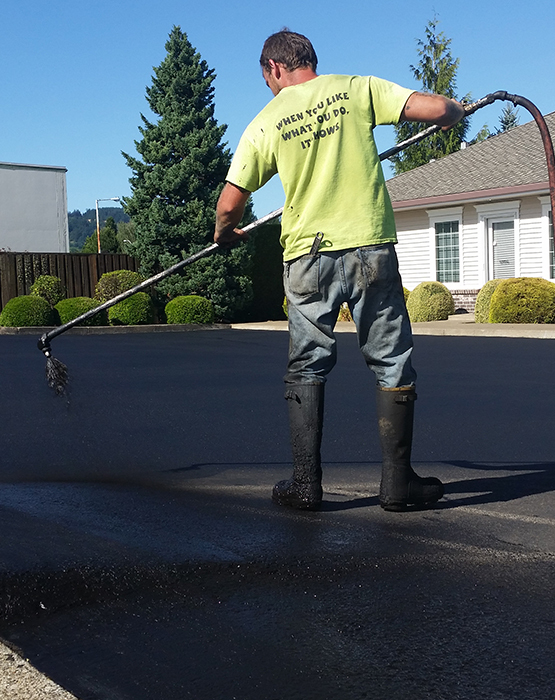 Regardless of the size or type of your property, we are pleased to inspect the pavement and devise a maintenance program that is affordable and effective in protecting your asphalt. We routinely develop simple plans involving annual inspections and basic sealant activities for our residential customers. For our commercial and industrial clients, we provide management solutions that often address multiple sites and employ various combinations of sealing, striping, crack-seal and resurfacing over several years.